Harbor Light Hospice makes it their mission to provide loving care and support to patients with life-limiting illnesses and to their loved ones during end-of-life. They dedicate themselves to emphasizing the quality of life to those who chose to spend their last years in a comfortable familiar environment surrounded by those they love. Harbor Light Hospice provides services for its patients at home, at a skilled nursing facility, or an assisted living center. 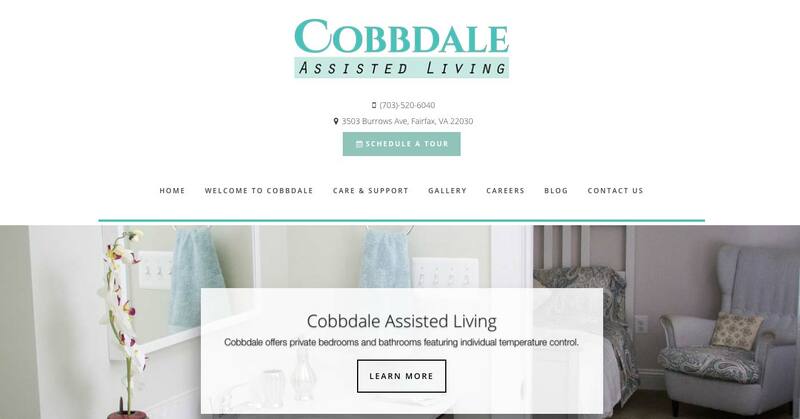 Increased visibility of their brand and service offerings to those seeking hospice care for their elderly loved ones. 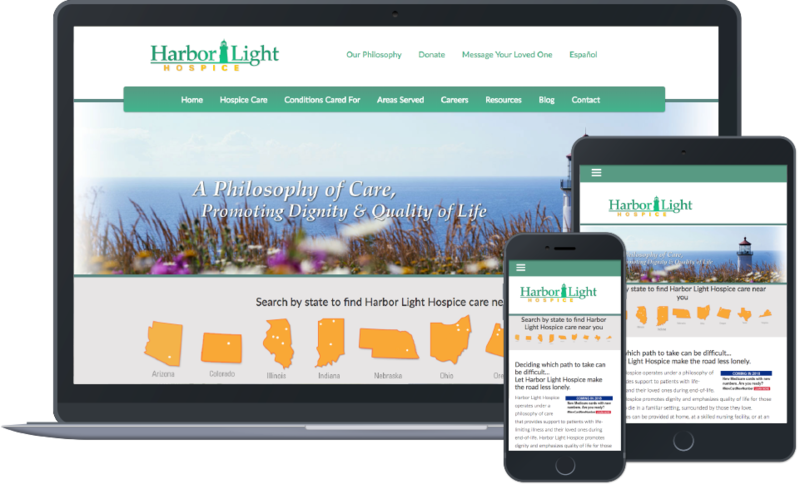 Harbor Light Hospice is located in 9 states across the country and aimed to spread brand awareness to users in their respective locations. 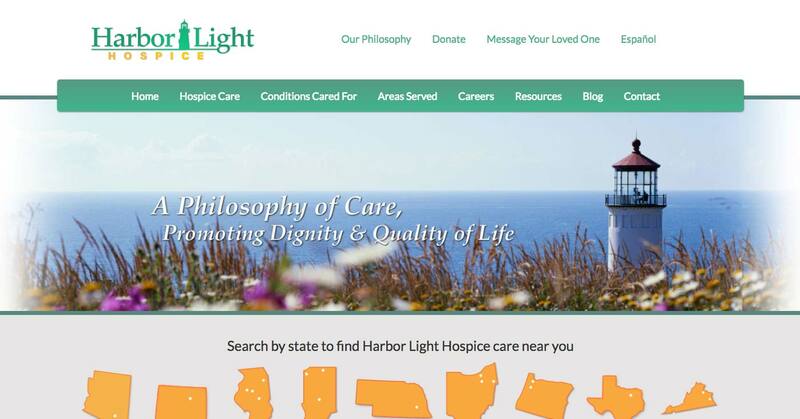 We designed and developed a massive multi-site for Harbor Light Hospice that showcased each one of their locations, and their service offerings. Our copy built trust with their users, giving them peace of mind when making such a tough decision for their loved one. We began disseminating copy across the web, which discussed and answered questions people were looking for, but did not have the ability to find.